← Could John Fox get another Manning and take a team to the Super Bowl? 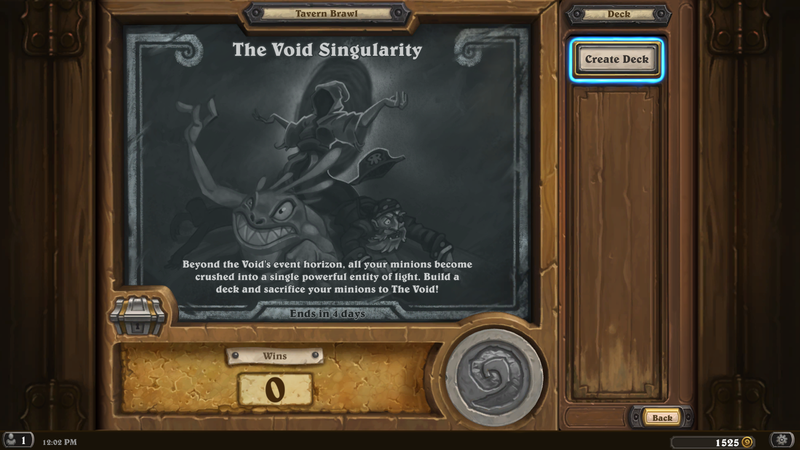 This week’s Tavern Brawl: The Void Singularity is a brand new brawl, with a brand new mechanic: Sacrifice your minions to create an all powerful entity. It’s a little vague, but you can probably guess how it works. So I went with the hunter this time, more because of the 2 point damage per round than anything. It took me a few tries to get it “right”. I went up against a couple players who had well thought out decks. As you can see, I loaded up on low-cost minions. Most of which have a Battlecry or Deathrattle mechanic. 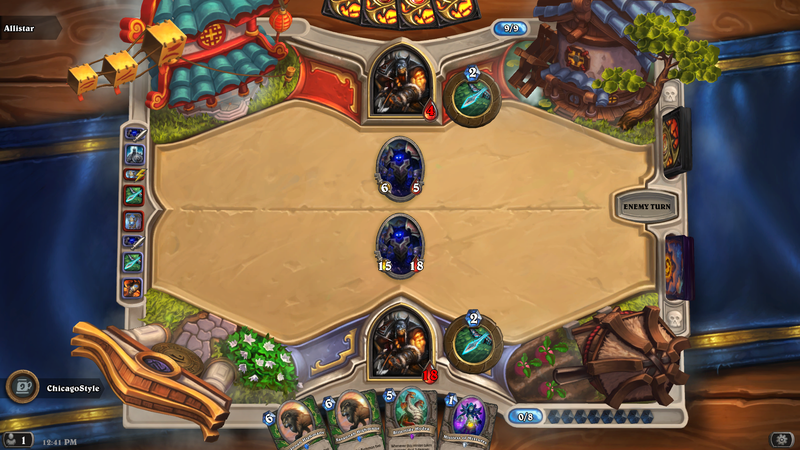 I probably would have been successful if I wasn’t up against a mage with a lot of crowd control options. I had to edit my deck a couple times. I had a pretty nice minion going early, but it got taken care of before it could hit. Some minions work better than others. 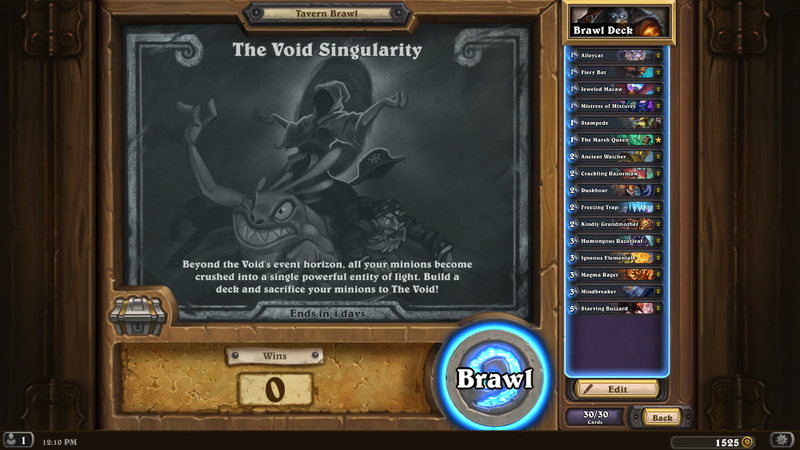 This seems like a pretty fun brawl that might have a lot of replayability. 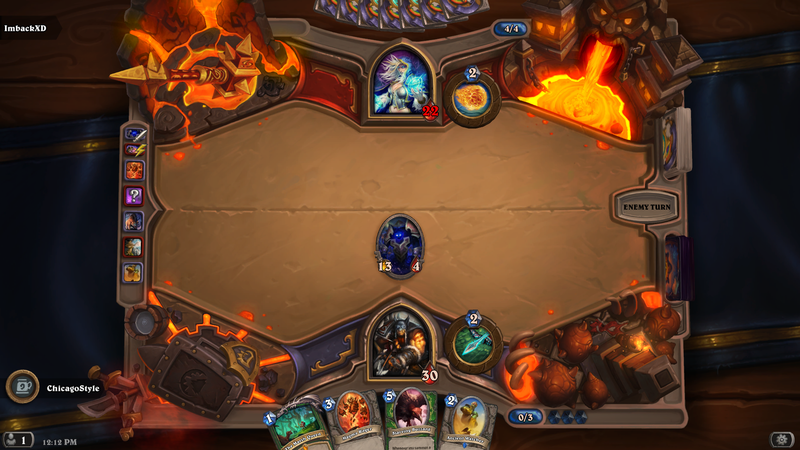 This brawl, like the last 2 rewards a special Kobolds and Catacombs pack. Enjoy. Have fun. See you next week! 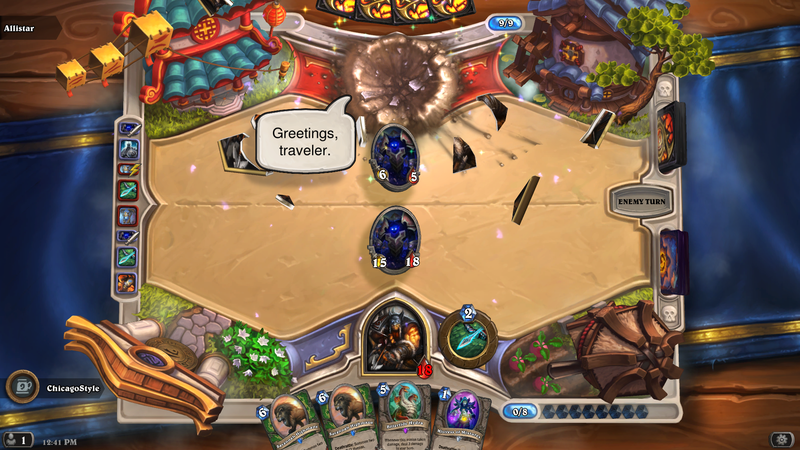 This entry was posted in Hearthstone and tagged Brawl of the week, Hearthstone, Tavern Brawl, The Void Singularity. Bookmark the permalink.